Get 50% Deposit Bonus up to $2000. This 50% Tradable Deposit Bonus Promotion is open to all new traders who have not made a deposit, over 18, trading on any financial instrument on the easyMarkets or MT4 trading platform. If there have been no trades completed after 30 (thirty) days from the day that. the trader receives the Bonus, easyMarkets will debit the Bonus amoun Bonuses are for trading purposes only; they cannot be withdrawn, they are non-transferable and they are non-refundable. Any withdrawal of your deposit prior to trading will esult in a proportional debiting of the bonus. Example: If you deposit $2000. You will get a $800 bonus. 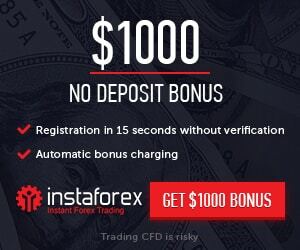 If, before your trade, you withdraw 50% of your deposit, $1000. 50% of the bonus, $400, will be debited.Any withdrawals after trading will result in the bonus debited in full 50% of the bonus, $400, will be debited.